(Hazlehurst, GA) JEBS Choke Tubes, manufacturer of the world's most trusted choke tubes is proud to announce that Canadian Waterfowl Supplies is now the premiere destination to purchase JEBS Chokes "north of the border." Patrick Heinrichs, President & Owner of Canadian Waterfowl Supplies, "We, at Canadian Waterfowl Supplies, are excited to now be offering JEBS Choke Tubes for sale throughout Canada. JEBS High Voltage waterfowl chokes have earned the reputation of being the "go-to" chokes to use with waterfowl hunters south of the border and we are looking forward to offering them to all of our customers." "Our company has been built by selling quality products, as well as offering our customers great service, and partnering with JEBS chokes is another step the right direction in bringing the best waterfowl hunting products into Canada." As with many hunters, we have suffered from limited product offerings on this side of the Canadian border and the decision was made to start this business and bring some of the leading industry products into Canada. When you see a product on this site, it is because we are using it now or have used it in the past. 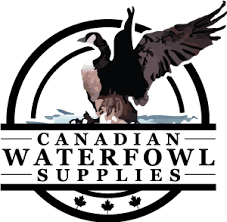 We have had great feedback from postings in forums, discussions with waterfowl hunters, as well as national organizations and are looking forward to supplying innovative as well as hard tested traditional products to the Canadian water-fowling community.